Huawei announced its P30 series smartphones on Tuesday at an event in Paris. The Huawei P30 Pro is the more premium between the two phones and it is also coming to India soon. The P30 Pro has features like an FHD+ OLED display, Kirin 980 processor, and most importantly quad camera set up at the back. The camera on P30 Pro supports up to 50x zoom and comes with a Super night photography mode. 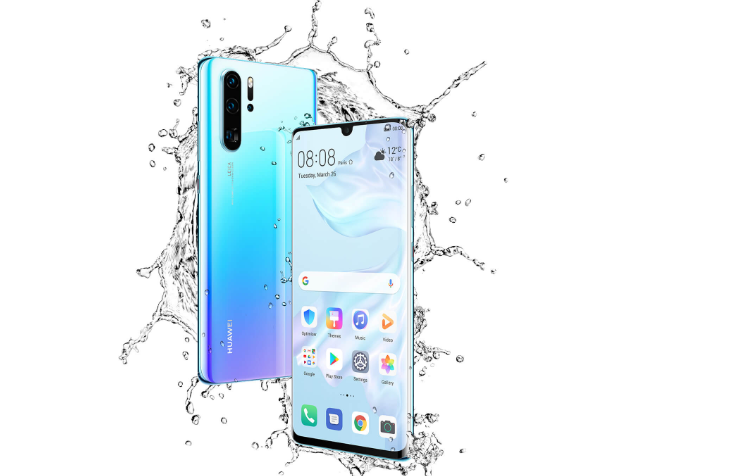 The Huawei P30 Pro price in Europe starts at 999 Euros (approx. Rs. 77,820) and it will also be available in India around the same price tag. Here are some frequently asked questions and their answers about the new Huawei P30 Pro. Question: How is the build quality of Huawei P30 Pro? Answer: The Huawei P30 Pro comes with a metal and glass body that uses a lot of shiny glass with gradient finish. It reflects the light to give the phone different colors in different light. The phone looks premium with its glass rear panel with a gradient pattern. 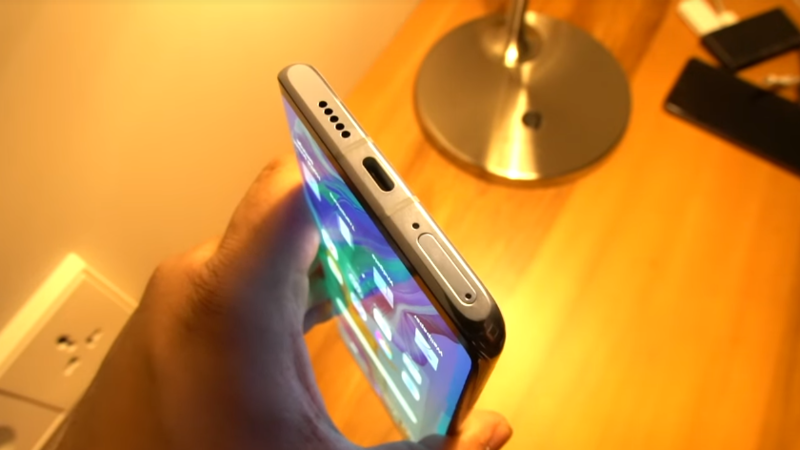 The front of the phone with a full-screen curved glass display with a small notch at the top also looks really great. 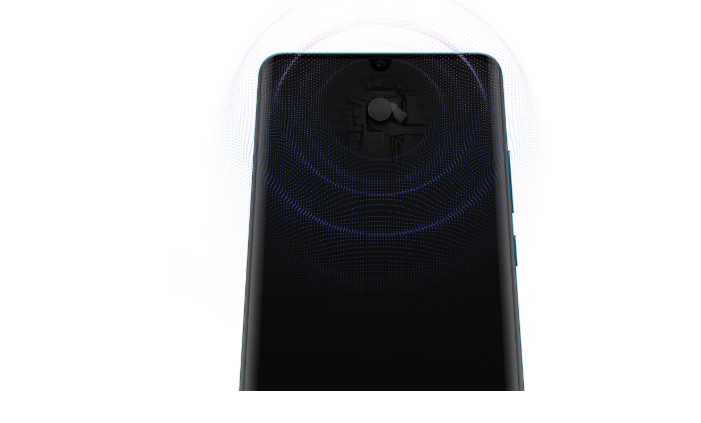 The phone also has an in-display fingerprint scanner. The phone is lightweight (192gms) despite having a big battery and also thin with just 8.4mm thickness which makes it compact and it can be used by one hand easily. Overall, the P30 Pro comes with premium looks. 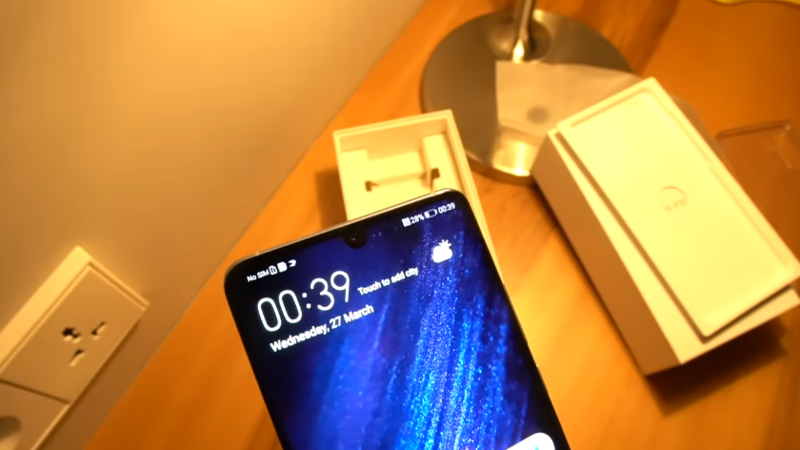 Question: How is the display of the Huawei P30 Pro? Answer: The phone features a 6.47-inch OLED display with an FHD+ resolution of 2340×1080 pixels. It sports 19.5:9 aspect ratio and over 90% screen to body ratio. There are very fewer bezels on each side and a small notch on the top. The brightness of the display is good and it also supports HDR. The colors are also sharp thanks to OLED panel and FHD+ screen resolution. The daylight visibility is quite good as well. Question: Does Huawei P30 Pro’s display have gorilla glass protection? Answer: No, the display is not protected by Gorilla Glass. Question: How is the fingerprint sensor of Huawei P30 Pro? Answer: The Huawei P30 Pro comes with an in-display fingerprint sensor which is fast. It takes about a second to unlock the phone. Question: Is the P30 Pro waterproof? Answer: The P30 Pro is water and dust proof with IP68 certification. Question: What are the camera features of Huawei P30 Pro? 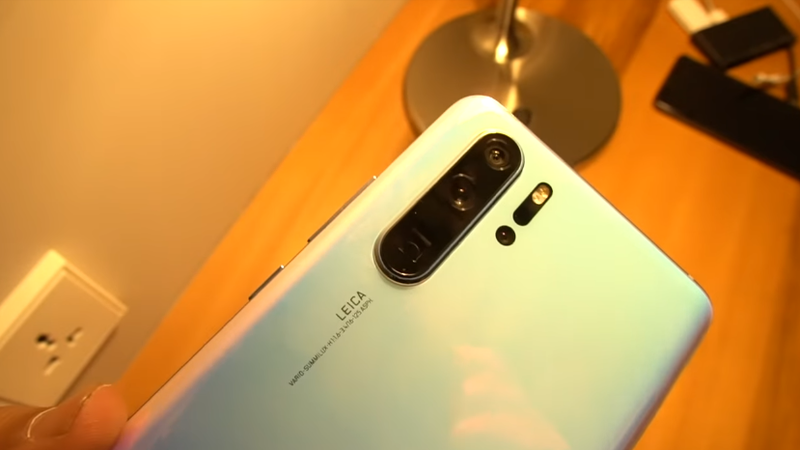 Answer: The Huawei P30 Pro comes with a Leica quad camera set up at the back. It has a 40 MP primary sensor with wide f/1.6 aperture and 26mm focal length. Instead of the typical RGB sensor, the P30 Pro uses RYYB sensor to allow more light to be absorbed. There is a 20MP secondary ultra wide-angle lens with an f/2.2 aperture and an 8MP Telephoto lens that is capable of 5x optical zoom. The smartphone also sports a fourth ToF camera. It has a 32 MP f/2.0 aperture front camera. Question: Can 4K videos be recorded on the Huawei P30 Pro? Answer: Yes, you can record up to 4K resolution videos at 30fps on the Huawei P30 Pro. Question: Can we record slow-motion videos on P30 Pro? Answer: Yes, you can record slow-mo 720p videos at 960fps. Question: Which mobile processor is used in Huawei P30 Pro? Answer: The new Huawei P30 Pro is powered by the flagship octa-core Kirin 980 7nm processor which is clocked at up to 2.6GHz and comes with Mali-G76 MP10 GPU. The Kirin 980 is a powerful processor that is based on the 7nm process and also comes with dual NPU for better AI features. Question: How many RAM and storage options are available for Huawei P30 Pro? Answer: The Huawei P30 Pro comes with 6GB/8GB RAM and 128GB/256GB/512GB internal storage options. Question: Can the internal storage in the new Huawei P30 Pro be expanded? 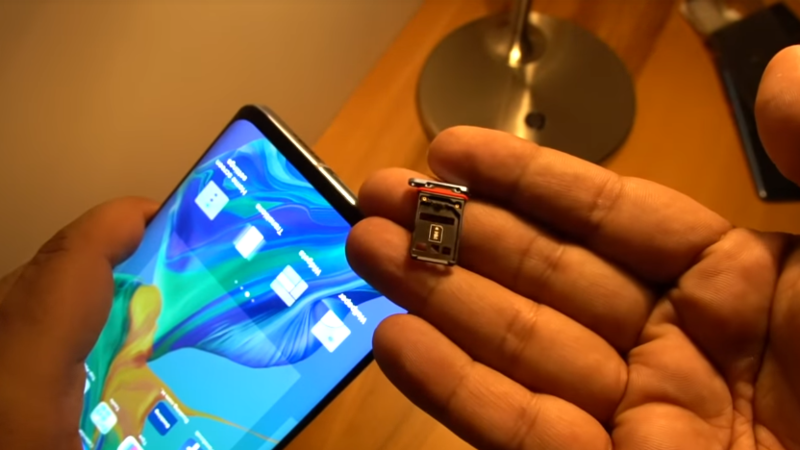 Answer: Yes, the internal storage in the Huawei P30 Pro is expandable up to 256GB with the help of a nano-memory card slot. Question: What is the battery size on Huawei P30 Pro? Does it support fast charging? Answer: The Huawei P30 Pro is powered by a 4,200 mAh battery. It supports Huawei’s 40W SuperCharge fast charging that can charge it up to 70% in just 30 minutes. It also supports wireless charging and reverse wireless charging as well. Question: Which Android version runs on the Huawei P30 Pro? Answer: The smartphone runs Android 9.0 Pie out of the box with EMUI 9.1 on top. Question: Does Huawei P30 Pro support dual SIM cards? Answer: Yes, it supports two Nano-SIM cards. Question: Does Huawei P30 Pro support Dual VoLTE networks? Answer: Yes, it supports both LTE and VoLTE networks and also supports Dual SIM Dual VoLTE feature as well. Question: Does Huawei P30 Pro sport a 3.5mm headphone jack? Answer: Yes, the phone doesn’t have a 3.5mm headphone jack. Question: Does Huawei support face unlock feature? Answer: Yes, Huawei P30 Pro has Face Unlock feature. Question: How is the audio of new Huawei P30 Pro? Answer: Instead of a traditional speaker, the P30 Pro uses Huawei’s Acoustic Display Technology that offers sound from the display and thus it has increased hearing area. It uses electromagnetic sound levitation that projects sound from the vibrations in the display to your ear. 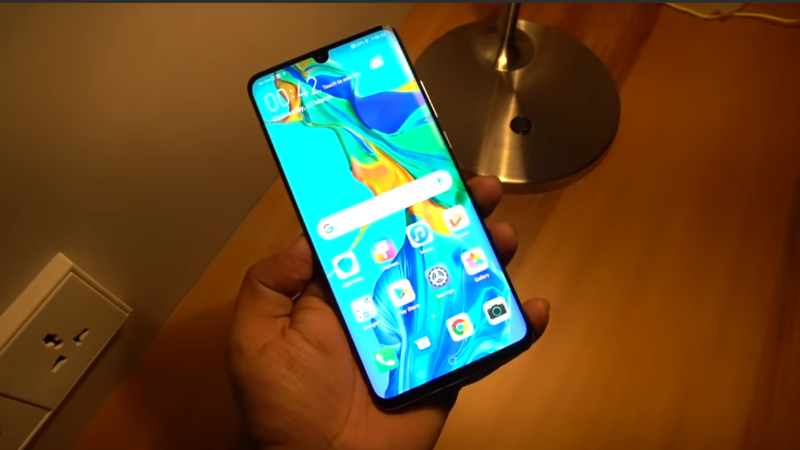 Question: What sensors are there in Huawei P30 Pro? Answer: The sensors on board include an Ambient Light Sensor, In-Screen Fingerprint Sensor, Gyroscope, Compass, Proximity Sensor, Gravity Sensor, Hall Sensor, Infrared Sensor, and Colour Temperature Sensor. 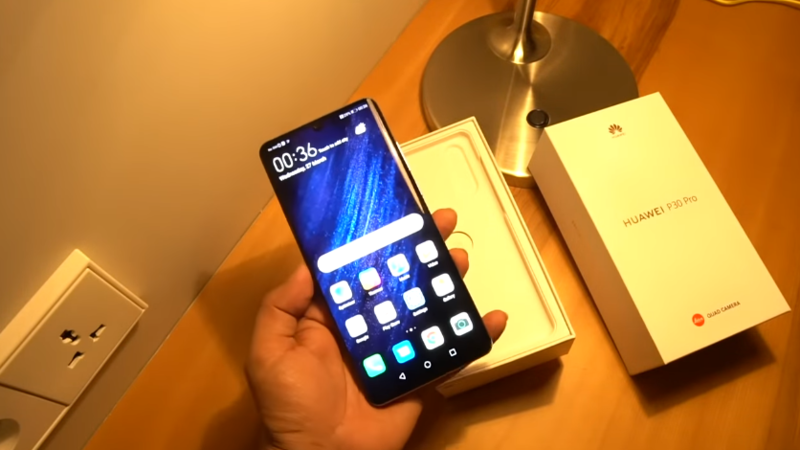 Question: What is the price of Huawei P30 Pro in India? Answer: The Huawei P30 Pro price in Europe starts at 999 Euros (approx. Rs. 77,820) for the 128GB storage version and goes up to 1249 Euros (approx. Rs. 97,290) for the top-end 512GB version. Its price in India will be around the same and will be revealed when it launches here next month. 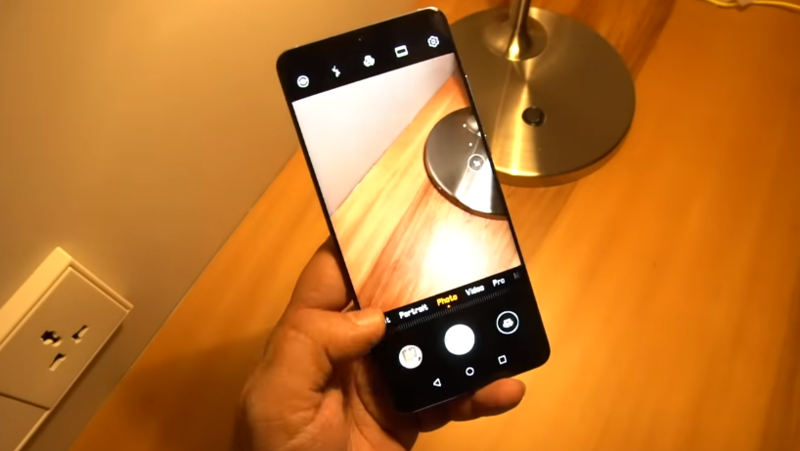 Question: Where and when can I buy the new Huawei P30 Pro? Answer: The Huawei P30 Pro will be available to purchase online exclusively via Amazon India. The sale date will be revealed after the official launch in India. 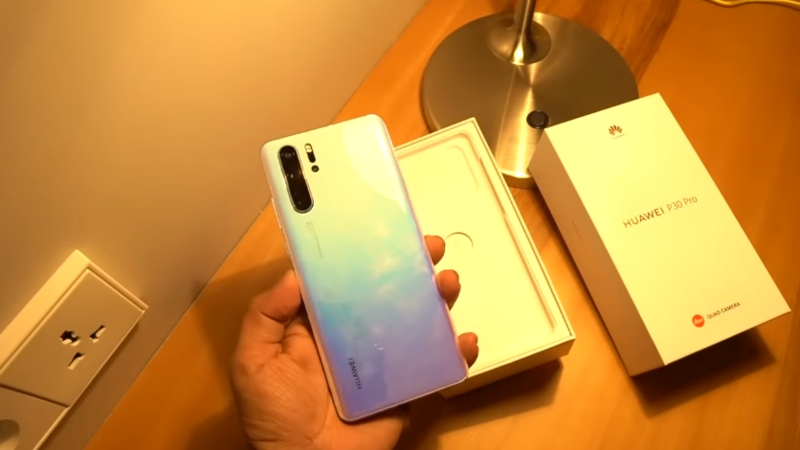 Question: What are the color options of Huawei P30 Pro available in India? Answer: This Huawei P30 Pro comes in Black, Pearl White, Aurora, Amber Sunrise and Breathing Crystal colors. However, at its India website, the company has listed only Breathing Crystal and Aurora color options.